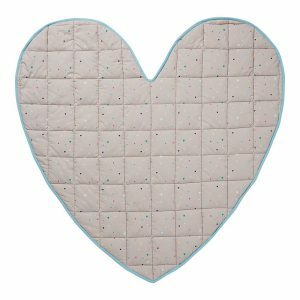 A scattering of multicolour mini hearts have been hand printed on this cushioned heart shaped play mat. Complete with a chartreuse reverse, turquoise binding and diamond quilting. 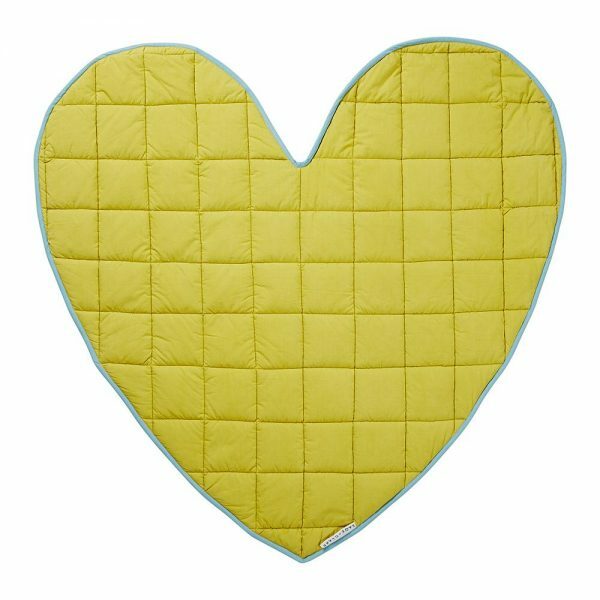 Our sweet heart shaped play mat is made from soft cotton percale and quilted with fill, making it the perfect place to encourage free play and tummy time for your little one. 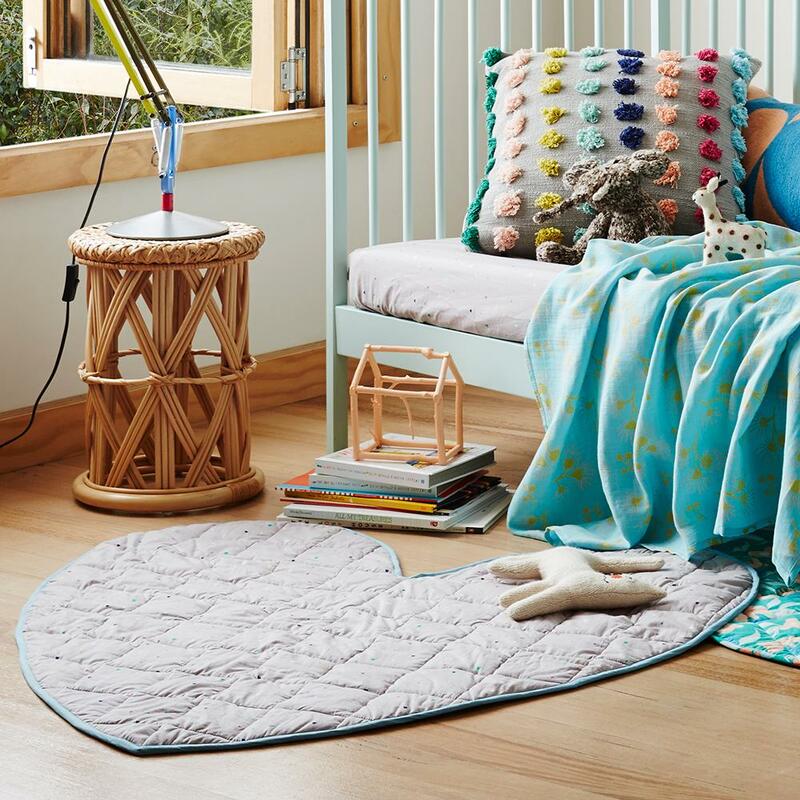 Reversible in design, both sides can be used for maximum use and versatility. Our mini heart pattern has been screen printed by hand using a discharge printing technique. The fabric is first dyed in cloud grey and then screen printed using reactive dyes. After processing, the base colour is ‘discharged’ and the beautiful colour palette appears.